A simple throw in layering horizons for all occasions. The square Bale Mist pillow has a unique pattern of layering horizons made to look like the rolling mist over a dark plain. 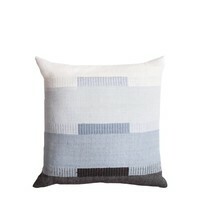 All Bole Road products feature textiles woven in Ethiopa from local cotton. The insert is a hypo-allergenic synthetic down pillow made by a family-owned company in the U.S.A.
Bolé Road Textiles is driven by a passion for good design and a belief that textiles have the ability to transform interiors and inspire the people within them. 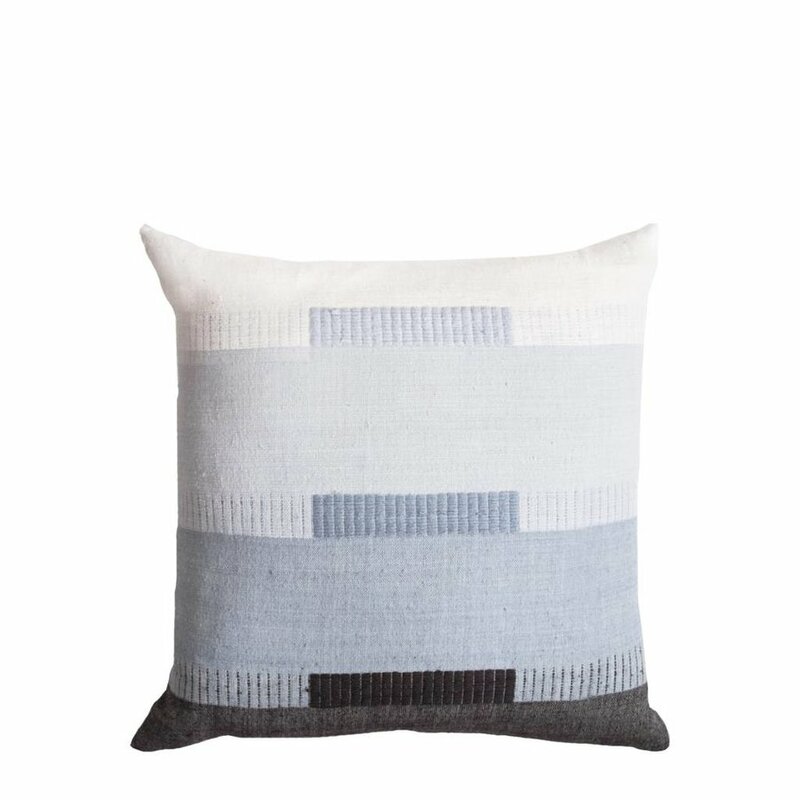 Designed in Brooklyn and handwoven in Ethiopia, Bolé Road marries ancient weaving traditions, passed down through the generations to today’s master local artisans, with a modern global aesthetic. All of their products are ethically sourced and lovingly crafted.